Avoid obstacles, beware of traps and dodge flying crows and copters flying by. This is my job. Dying again and again. But I'm used to it. That's how I can see the future. What's waiting for me? Good question. 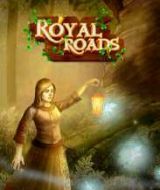 Break the evil curse and outwit the wicked witch in the game Royal Roads!